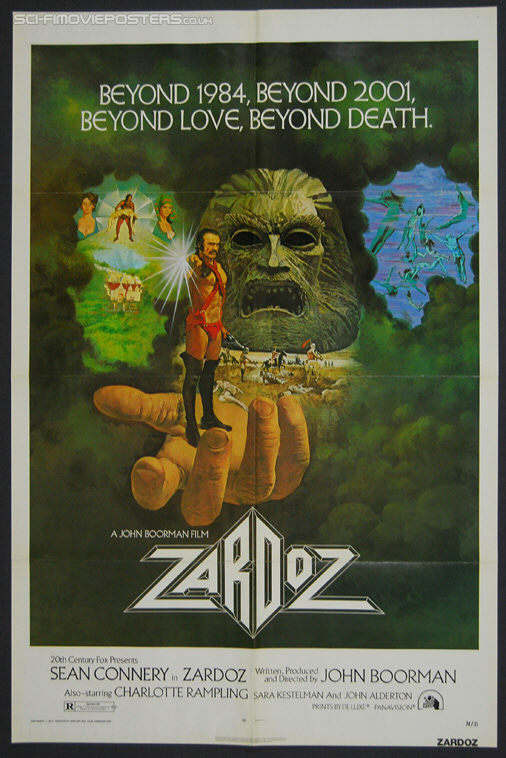 Zardoz (1974). Original US One Sheet Movie Poster. 27" x 41" Single sided. 1974. Very Good 7.5 Folded. Some ripples in the paper.